Yes, deploying Microsoft Teams like most technolgies is more than just flipping a switch. Any time you introduce change, it can be disruptive, cause resistance, and in many cases, the end users may not understand the reason or benefits of leveraging the change your deploying. To drive successful change within an organization starts with focusing on the people, understanding the business goals and objectives, and finding the right way align the business goals in a way that empowers the users to achieve more. Microsoft Teams offers new ways to communicate, collaborate, and work. While some aspects may be familiar to users coming from other platforms such as Skype for Business there are new and improved ways to communicate, collaborate, and work within Microsoft Teams. Microsoft Teams has a fantastic amount of depth and possibilities. Starting from using it for Chat and Collaboration in Teams and Channels, Meetings, Voice, Video, Screen Sharing, and PSTN connectivity. To leveraging Microsoft Teams as that portal into Office 365, Line of Business Applications, and other process and flows across the organization. Given the depth and possibilities within the platform it is important that you find a balance in the number of changes you introduce to the users throughout the deployment phases. 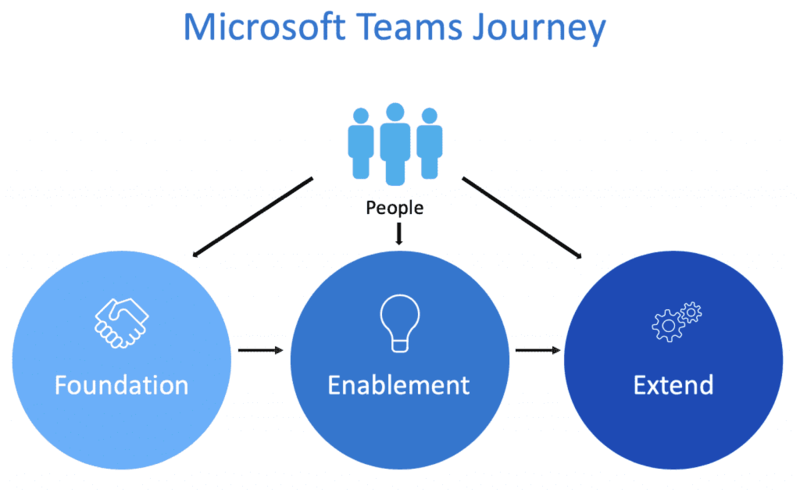 One approach to consider is deploying Microsoft Teams as a journey starting with the foundational aspects, enabling various features and functions, and then extending it into business processes and flows. Foundation: Start with the core Teams experience of Chat, Collaboration in Teams and Channels, Meetings, Live Events, and PSTN Connectivity. In many cases, you are moving the users from existing chat tools, phone systems, and meeting platforms. These tools are often core to the user’s daily workflow and are essential to delivering success to the users. Enablement: As the users are successfully adopting the foundational elements of Microsoft Teams it’s you can not turn to enable various Microsoft Office 365 features, Microsoft Flow, PowerApps, and applications that are available in the App Store. During this phase, you are looking for impactful opportunities to enable solutions using native features and functions within Microsoft Teams. The benefit of this phase is it will help drive more in-depth dialog with the users and help to flush out additional areas of opportunity to improve the user’s experience. Extend: Once you have activated and enabled the various Microsoft Office 365 capabilities and third-party apps the next step is to explore the ability to develop solutions. The Microsoft Teams developer platform makes it easy to integrate into line-of-business apps and services within Teams. The value, improved productivity, faster decision making, increased focus (by reducing context switching), and engaging collaboration around existing content and workflows. During this phase, you want to focus on solutions that are impactful and can be delivered in a reasonable timeframe. As users continue to benefit new areas of opportunity often come to the surface. When you start your journey deploying Microsoft Teams make sure to check out the Microsoft Teams Adoption Hub. This content simplifies the deployment and adoption process for Microsoft Teams, and the logic applies to other Office 365 workloads. There are various tools, templates, and materials such as the champions program, adoption guide, and customer success kit, that is available at the Tools for Driving Adoption link. 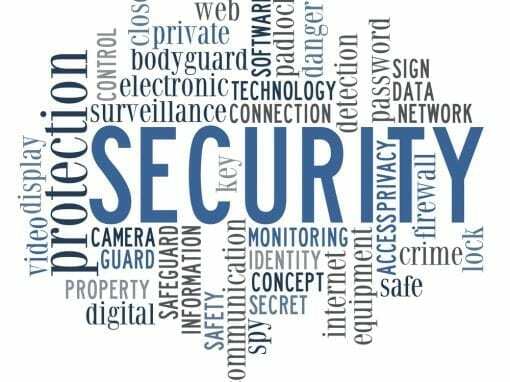 Also from an operational aspect make sure you focus on planning around governance, such as who can create teams, naming conventions, guest access, approved apps, and overall security requirements. You can get more details at the Governance quick start for Microsoft Teams. For the solution development opportunities make sure to check out The Microsoft Teams Developer Platform page and the Line-of-business apps overview.